Independence Stair Lifts has solutions to fit your living environment.Don’t sell your dream home and move into a single level house. It is more cost effective to purchase an Indy Stair Lift and save the aggravation of moving. Expand your freedom in your home. Dont give up your independence! 1) Indy Eco – The economical solution for straight stairs. 2) Indy Eco Curve – The economical solution for curved stairs. Make your clients and colleagues feel welcome and comfortable with an Indy Pro Stair Lift. With a variety of styles and options to choose from, we have the perfect stair lift to meet your company’s needs. Increase accessibility and enhance mobility in your home or place of business with our chair and platform stair lifts. When getting from one floor to another becomes challenging, freedom, independence, and dignity all suffer. Stair lifts are an easy, economical way to modify any home or commercial building to make stairways less of an obstacle for the elderly, injured, or disabled. Just install one (or more) stair lift along a straight or curved staircase, inside or outdoors, and passengers can enjoy a safe, comfortable ride from one floor to the next. Indy Stair Lifts has products for all types of staircases and accessibility needs. Choose from residential or commercial stair lifts in compact, extra-large, outdoor, or wheelchair-accessible platform lift designs. Find the right stair lift for your home, commercial building, school, or hospital from our extensive product selection. for your porch or front steps? Consider our Indy Outdoor stair lift. Expect a variety of clients or patients to use the stair lift? 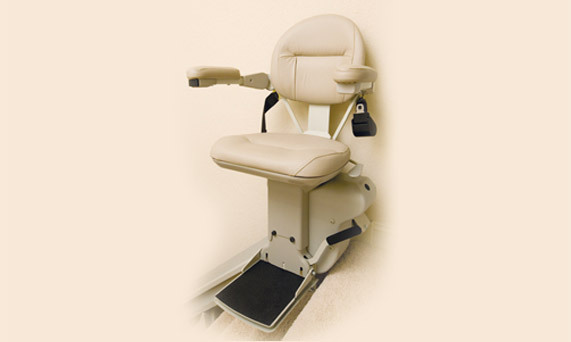 Provide for all needs and body types by adding the Indy XL chair lift. If your home or building has an angled or winding staircase, get the right fit with our Indy Curve. A customized stair lift, the Indy Curve is built to the specifications of your stairway to provide a smooth and comfortable ride. Each stair lift installs inches away from a wall and folds up at either end for ease of installation and assembly. 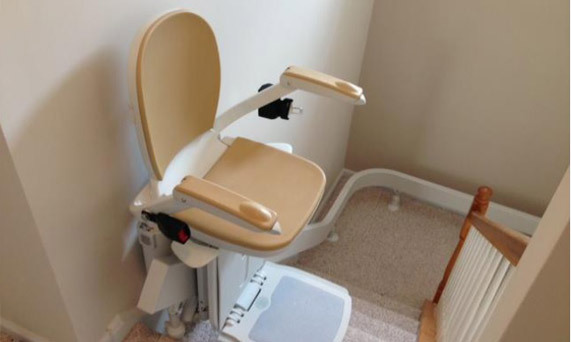 Whether you’re looking to buy new, used, or just need a temporary stair lift rental, Indy Stair Lifts offers your home or business the comfort and peace of mind that comes from total freedom and mobility for friends, family, clients, and customers. We also offer the longest warranties in the industry, with comprehensive coverage for all mechanical parts, electronics, and labor. Backed by Nationwide Lifts, the national leader in home elevators and lifts, Indy Stair Lifts provides unparalleled products and the best service in America – guaranteed.